Since last night's Fombag was a little on the expensive side, I'm going cheap tonight. 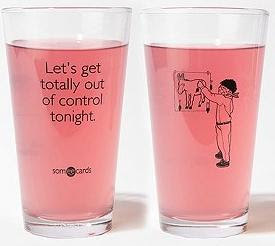 This is the perfect gift for ANY of your friends, or in my case- my coworkers. 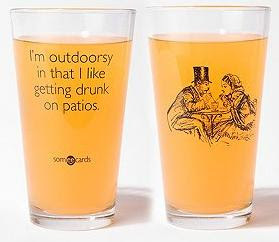 Someecards.com has AMAZING e-greetings that will have you laughing for hours, and now Urban Outfitters has turned some of them into pint glasses! You can get them for $8 each, but even better: 2 for $10! 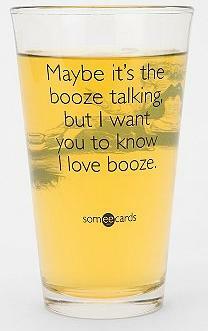 That's worthy of a stocking stuffer option or just something simple for all those friends you wanna give something, but don't have money for. I want more of them. I want them all. Hopefully I can buy them and not keep them all for myself.